The Carpenter's Shop goes beyond kitchen cabinets. 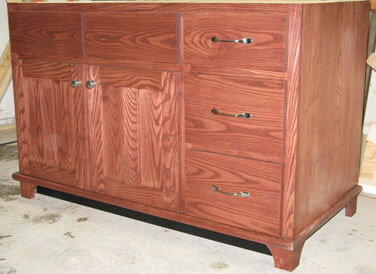 While we do create custom kitchens, our range of projects includes furniture grade hutches, gun cabinets, vanities, office furniture and much more. 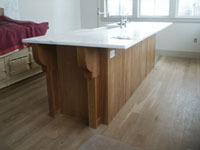 We also have the ability to match existing cabinets for those who may be remodeling or expanding. Those of us here at The Carpenter's Shop pride ourselves in making sure that your ideas and visions are met with a quality product that includes extreme precision and detail. We do not want to make ordinary products, but rather - products that showcase your individuality. 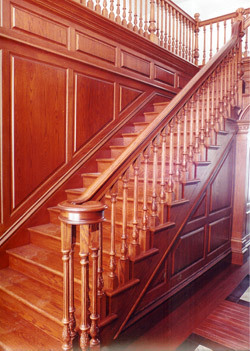 The stairway is often the center piece of grand homes and buildings. 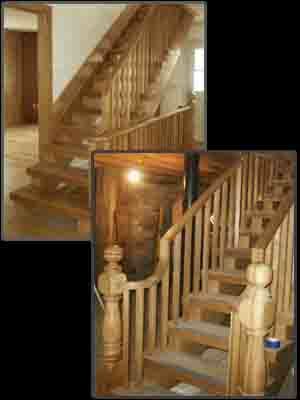 A staircase in rich wood highlights master carpentry skills and makes a statement like no other interior architectural feature. 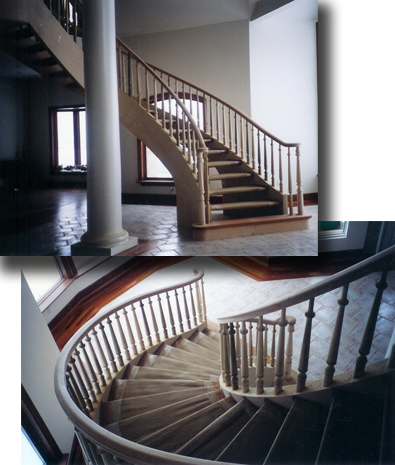 Our shop carries a wide variety of stair parts - we also custom manufacture parts for custom installations. Glued-up rippings are made every day. 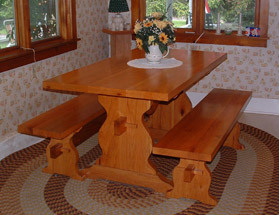 We offer 12-16” wide and at least 6’ and longer pieces in many different species. Our shelf stock is great for drawer sides, shelving, book shelves, etc. Priced competitively per square foot. Copyright © 2019 The Carpenter's Shop, Inc. All rights reserved.